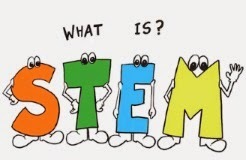 This list features quality resources that could be used in developing and supporting STEM programs. Technology and Project-Based Learning - 12 essential tools that compliment PBL and are especially useful for researching, storytelling and collaborative video making. These tools’ aim is to encourage students to approach a task by asking open-ended questions and develop a concept of a task. They also enhance personalized learning, where students discover their own strengths, whether it is analyzing and mapping out ideas, research or even editing. TryScience.org - Great interactive site by IBM that features science and technology experiments, field trips, and adventures. Made With Code - Online resource for learning coding from Google. Scratch - Free creative programming tool from MIT. Integrating STEM Through Project-Based Learning - Great article with rationale for using PBL in STEM classrooms. Common Core and Ed Tech Blog - Great tools and insight for integrating technology while addressing Common Core. Digital Sources for Free STEM Education - These resources, whether classes, lectures, or tutorials, are all free of charge - that can help you build your knowledge about everything from calculus to zoology. Next Generation Science Standards - The Framework provides a sound, evidence-based foundation for standards by drawing on current scientific research—including research on the ways students learn science effectively—and identifies the science all K–12 students should know. Draft of the actual standards due out this fall. Thinkfinity - Verizon Foundation’s free online professional learning community, providing access to over 60,000 educators and experts in curriculum enhancement, along with thousands of award-winning digital resources for K-12 — aligned to state standards and the common core.